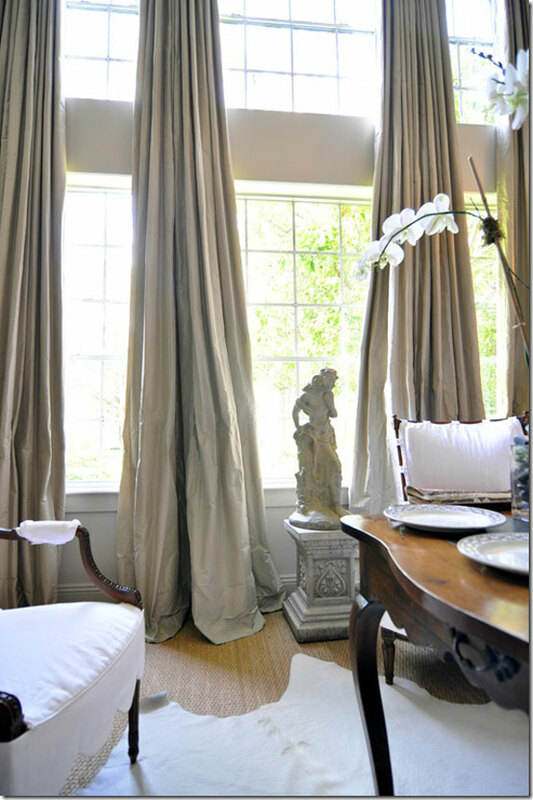 I think the full look that double-paneled drapes create. It creates immediate drama. I am picturing a more contemporary rug design to match the lighting, and I loved the Mo Moroccan feel of this Jaipur flat weave. I can't wait to see the room evolve. Do you have any fun plans for the weekend? Thank you to everyone who entered the Aestate giveaway. I'll be announcing the winner later today! I love their rustic dining table - and really like the side table and rug! I am in love with the art and the sideboard. I mean, I love the entire room, but those two pieces are too beautiful for words! 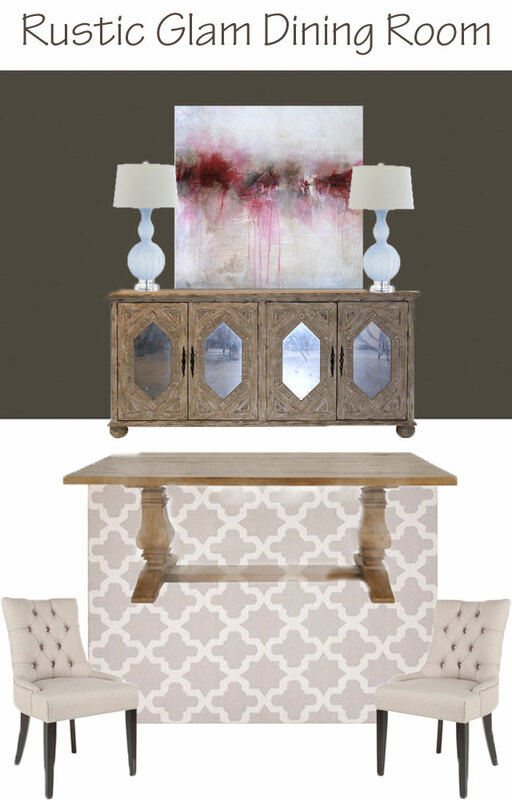 That chandy and table together are just plain awesome! 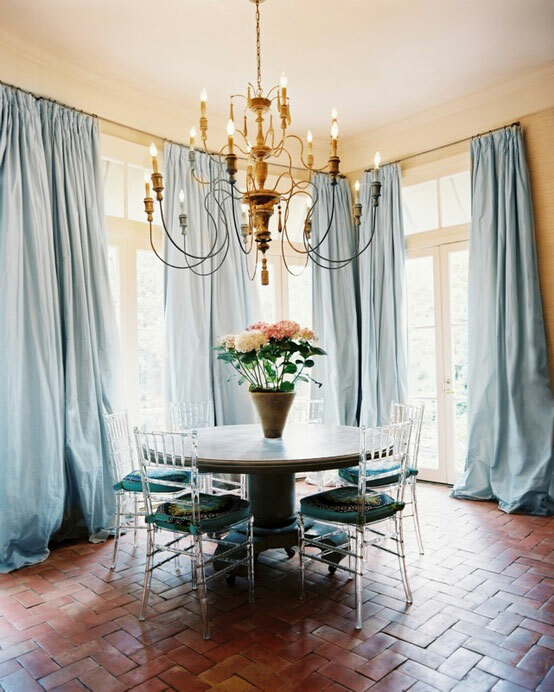 Love your rustic glam suggestions! 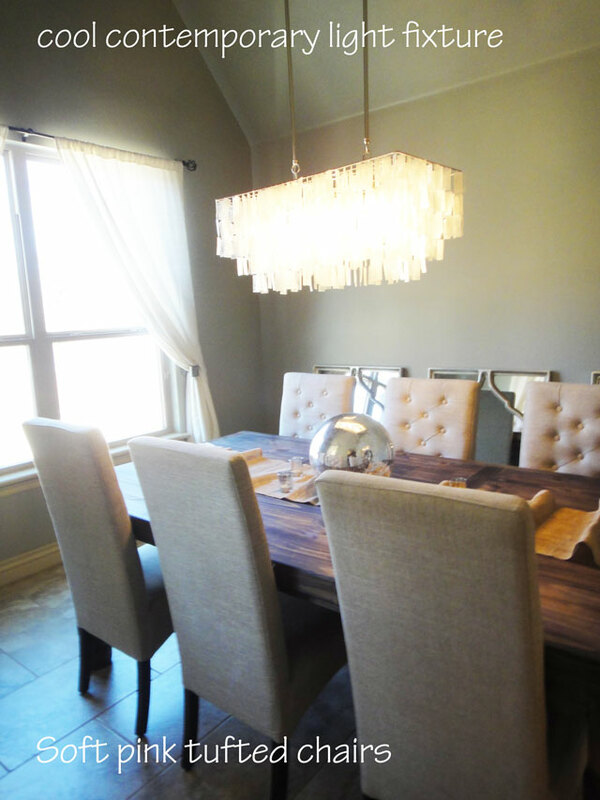 I have a rustic table & I've been eyeing the dark version of that chandelier from west elm. I may just have to go for it, now! Love this look, Sam! 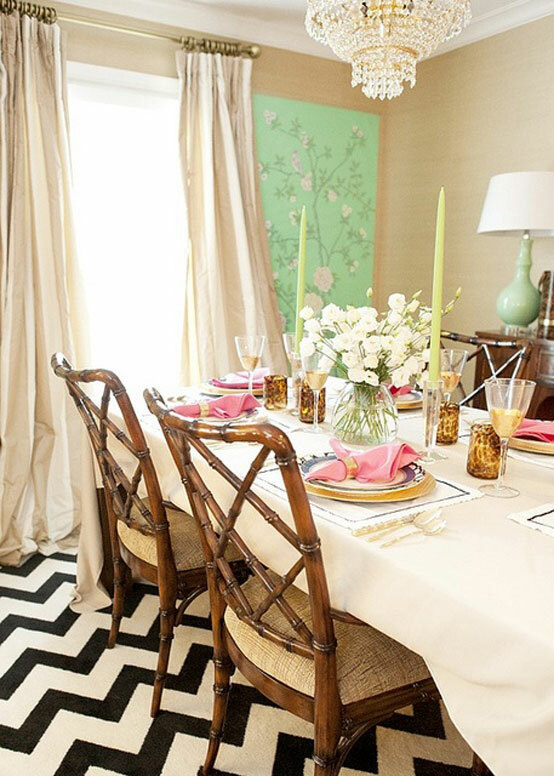 Awww thanks for including my dining room. I feel special. Huge compliment coming from you! Where did you get the chandlier?